Mara Hoffman stuck with her Sudanese model muses (Ataui Deng and Ajak Deng) for her Spring 2013 runway presentation at New York Fashion Week. 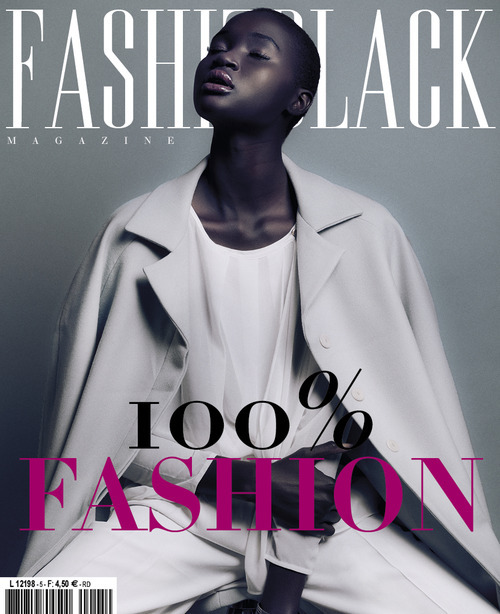 In related news, Ataui Deng is the featured cover model for Fashizblack September 2012 issue! 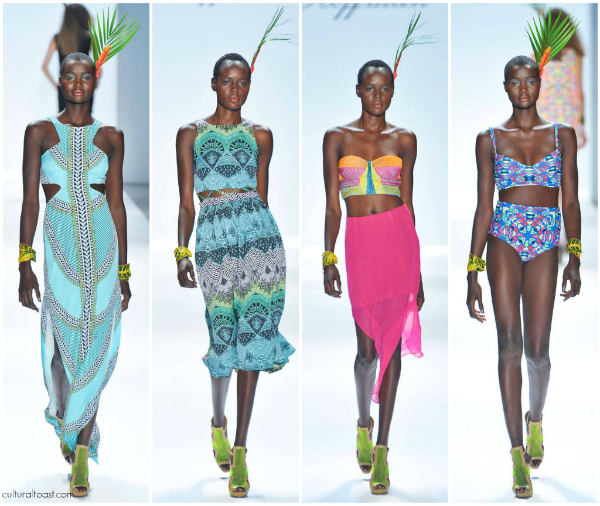 2011 produced lucrative milestones for African models both on and off the runway. Fatima Siad, David Agbodji, Ajak Deng, Makida Moka and Ataui Deng arguably held down the runway and editorial fashion strut this year. Zimbabwe’s Nyasha Matonhodze has arguably become the it model of the year thanks in part to her Topshop, Louis Vuitton, and current Versace pre-Fall 2012 AD campaign. Nyasha walked down the runway for Marc Jacobs, Louis Vuitton, Lowe, Narciso Rodriguez, Michael Kors, Yves Saint Laurent, and she also appeared in the March 2011 editorials for Harper’s Bazaar and Teen Vogue magazines. Sudanese models Ajak Deng and Ataui Deng (not related!) won over the crowds at various international fashion week presentations from New York to London to Paris for Christian Dior, Lanvin, Thierry Mugler, Reed Krakoff, Preen, Mara Hoffman, Oscar de la Renta, and Manish Arora. Ataui and Ajak appeared in the crowd favorite Harper’s Bazaar editorial. 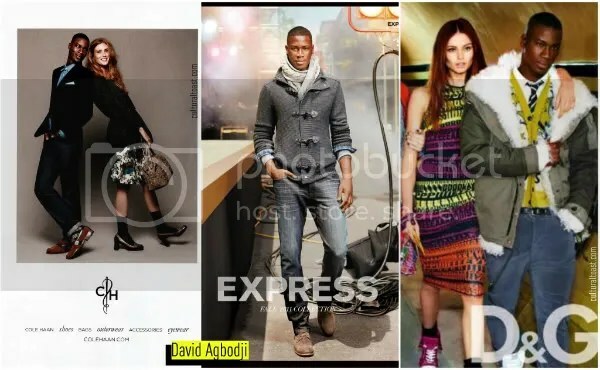 Togo’s leading male model David Agbodji had women swooning over his Express and Calvin Klein print AD campaigns. David also cleared up the rumor that he’s Nigerian! He signed on to do editorial work for D&G, Cole Haan, Gap and Harper’s Bazaar. On the runway he proved why he’s the only male model to watch on our radar in 2012! Swag, indeed! America’s Next Top Model alum Fatima Siad’s biggest accomplishment came courtesy of her groundbreaking Hermes runway appearance. Shortly after Fatima appeared in two stunning magazine photo shoots for Jones and Arise. Fatima certainly proved that there is a CAREER after ANTM! As Fatima eloquently said to The Cut, If you use your time on the show in a smart way, you can take your career to the next level. Nigerian-Jamaican model and Face of Sleek Nigeria winner Makida Moka was Bridget Awosika’s muse for her Spring/Summer 2011 presentation. 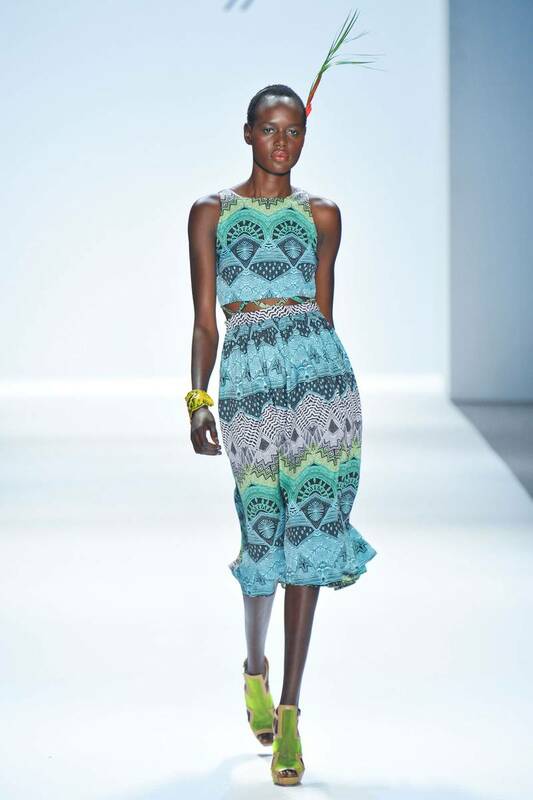 She also landed a modeling gigs with two rising Nigerian labels, Maki Oh and Phunk Afrique. In five years she plans to launch her own clothing line. Makida obviously loves and supports the successful Buy Nigerian fashion campaign and we are eager to see which label she collaborates with next. Flaviana Matata, Chika Emmanuel, Eku Edewor, and Millen Magese are four models we predict are onto groundbreaking moves in 2012. Which one of these models are you going to watch out for in 2012? Cultural Annual Review is a recap of what happened in 2011! The mom-to-be also told CNN International that her House of Dereon collection was inspired by her world trips to Brazil and Asia. 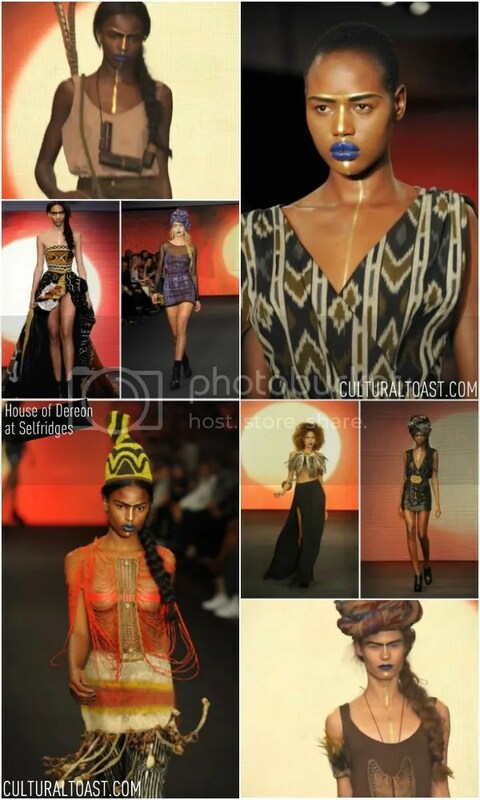 The Winter/Autumn and Holiday 2011 House of Dereon collection was viewed by fashion industry insiders on Saturday September 17! One of the looks presented was first worn by Beyonce for her Fela Kuti-inspired photoshoot for L’Officiel Magazine back in March 2011! Shop House of Dereon at Selfridges right here!